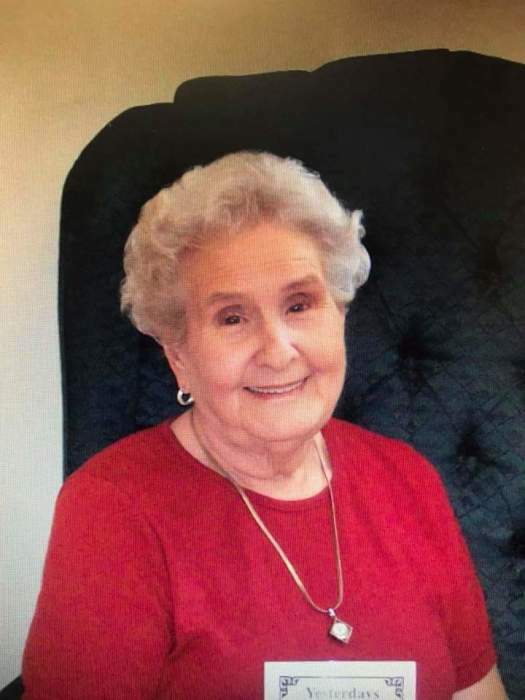 Obituary for Beatrice Simpson Pitts | Delancey-Murphy Funeral Homes, Inc.
Beatrice Simpson Pitts, 93, of Marked Tree, Ar. departed this life on Monday, November 26, 2018 with her family by her side. She was born on February 28, 1925 to Theodore and Ella Elizabeth Tucker Simpson. She was a homemaker and a member of Tyronza First Baptist Church. Beatrice is preceded in death by her husband of 63 years, Clayberne Pitts, 2 brothers, 3 sisters and 1 Grandchild. She is survived by 2 daughters: Carolyn Harsson Harper (Jerry) of Marked Tree, Linda Pitts Hinton (Carrol) of Tyronza, 4 sons: Harold Pitts (Barbara) of Mountain View, Travis Pitts (Sharon) of Marked Tree, David Alan Pitts, Sr. (Kathleen) of Mountain View and Keith Steven Pitts (Teresa) of Marked Tree, 9 grandchildren, 14 great grandchildren, 4 great-great grandchildren and a host of other family and friends. A celebration of life will be Thursday, November 29, 2018 at 11:00 a.m. at Delancey-Murphy Funeral Home, Marked Tree. Brother Dale Noe will officiate. Interment will follow in Marked Tree Cemetery. The family will receive friends, at the funeral home, on Wednesday, November 28, 2018 from 6:00 p.m. – 8:00 p.m.
Pallbearers: Hunter Hinton, Sky Hood, Dustin Hood, Keith Tacker, Ray Harsson and Randy Whitlow.